Subscribe to our mailing list by submitting the form below. NCI's flagship joint health product range. Recogen is a well known brand that helps you to maintain and improve your joint health. Recogen, Keeps You Moving! 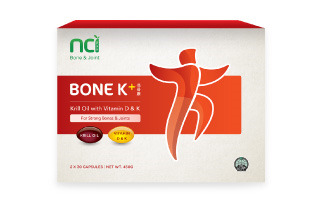 NCI’s Bone K+ is a unique concept containing Krill oil (a rich source of Omega 3), Vitamin D and K. Bone K+ supports both bone and joint health. A unique blend of bioactive collagen peptides with olive and grape seed extract to promote good skin health. We will update the status of Recogen Total here. We have changed the new packing of Recogen Total. 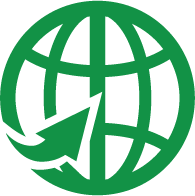 Our products can be found at our distributors in some countries. We also ship direct to selected countries like Indonesia, Australia, Hong Kong etc. Copyright © 2019 . NutraCeutical Ingredients Pte. Ltd.